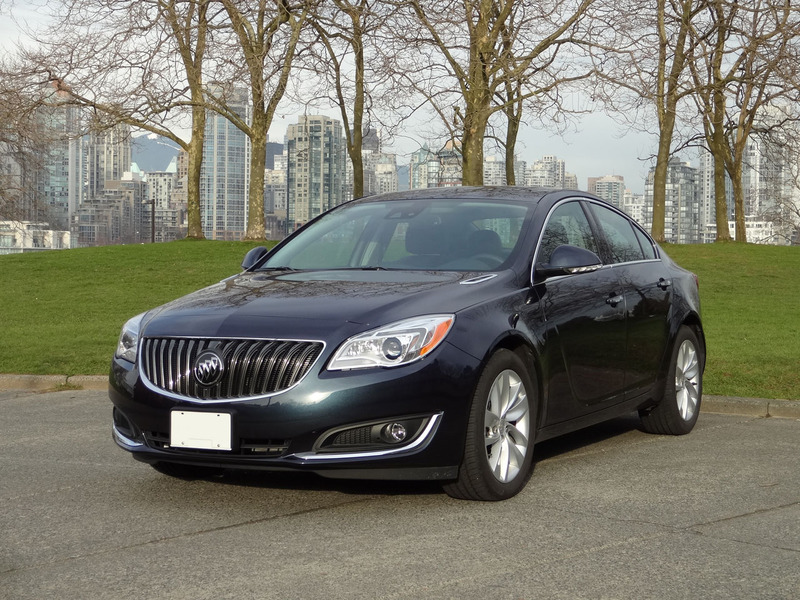 coming away with more power for the turbo model, a whole range of available new safety technology, the latest in IntelliLink infotainment systems and, perhaps most importantly for Canadians, a newly-available Haldex all-wheel drive system. 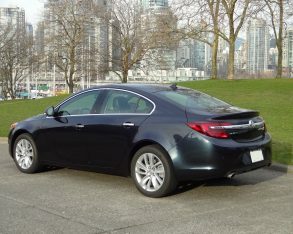 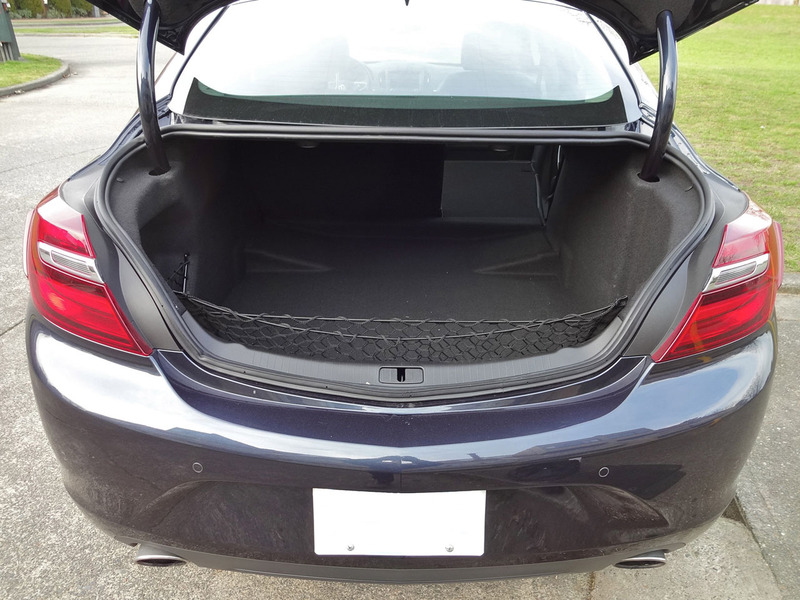 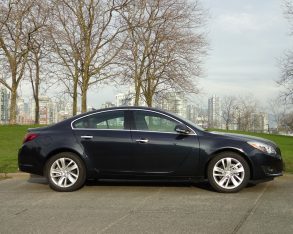 Ironically, following this significant step forward, the 2015 model will see the Regal take a small step back, with the deletion of the chrome-trimmed body-coloured door handles, HD radio capability, and the useful left-hand side net in the trunk, and substitution of the four-way driver and passenger power lumbar adjustment with two-way adjustment, manual child security locks for power units, and Graphite Blue Metallic paint colour for Dark Sapphire Blue Metallic. 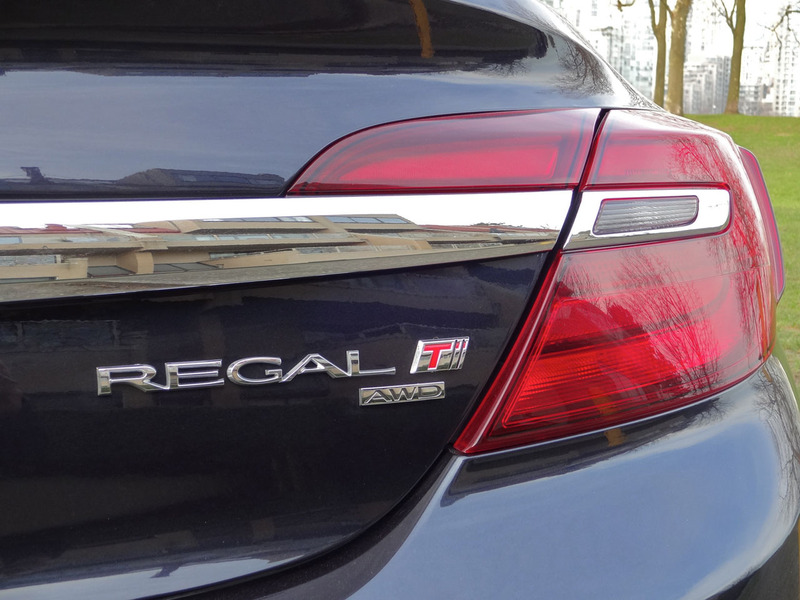 Other than these updates, the recently refreshed Regal will carry into 2015 unchanged. to be sure to specify a 2014 model if you desire a car in the exact same colour and with the same distinctive chrome-capped door handles. 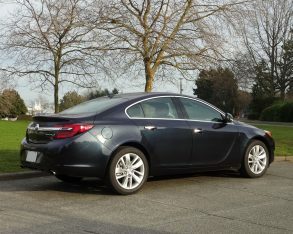 For those not familiar with the current-generation Regal, it helps to know its pedigree to understand what it is all about: In a break from North American-designed Regals of yore (which stopped being built in 2004), the current car is based on the European-designed Opel Insignia, which went into production in Germany in 2008. 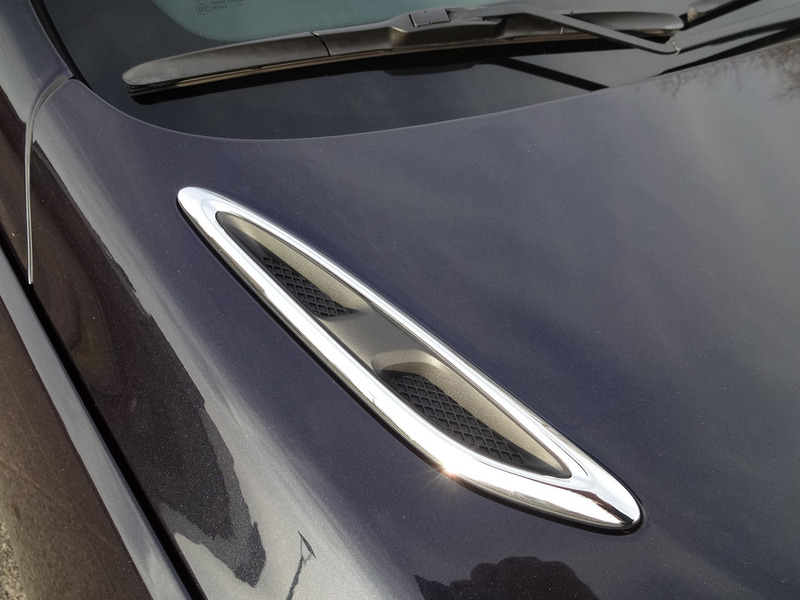 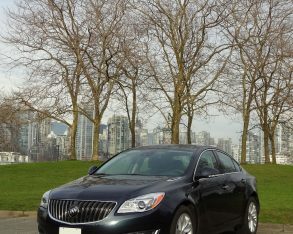 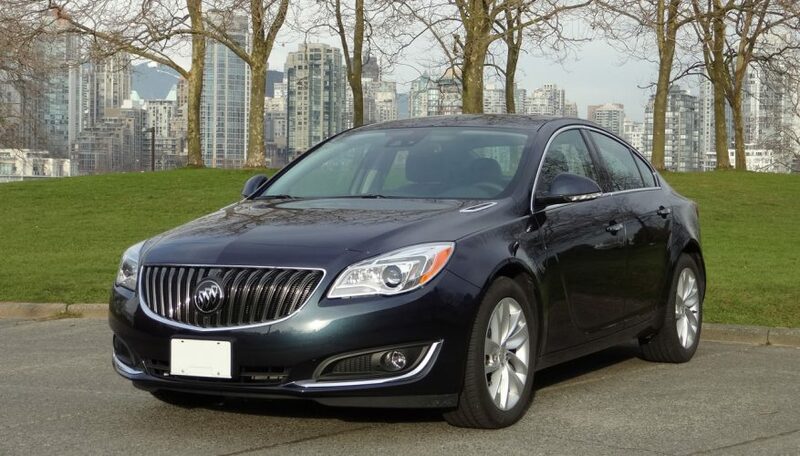 It first went on sale as a Buick not in North America, but in China a couple years prior to its debut here. 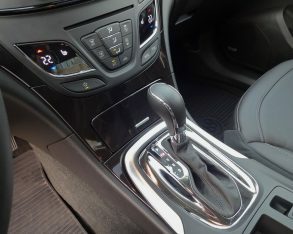 So it’s a decidedly worldly car, with a distinctly European feel to it. 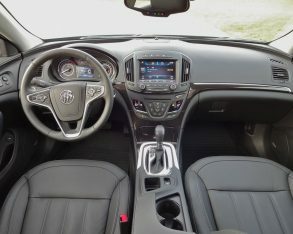 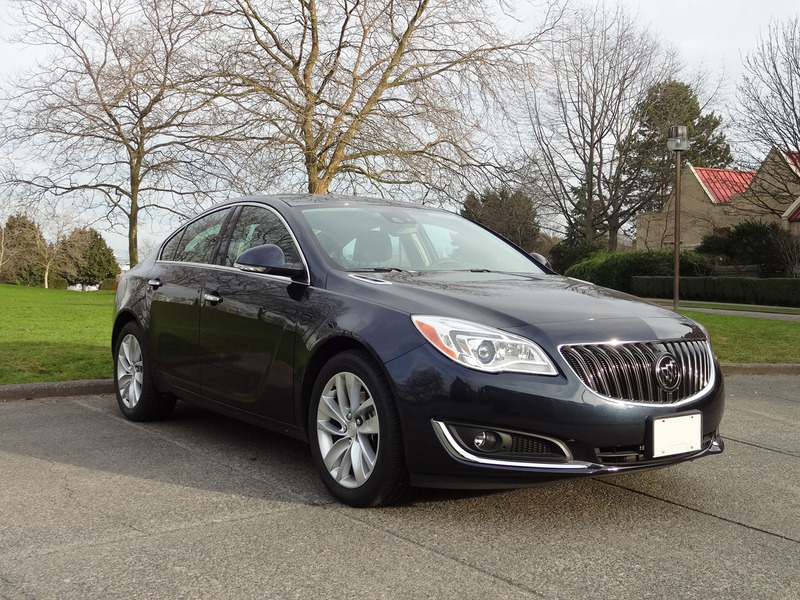 Buick refers to the Regal as the "athlete of the family", and if you’re drawn towards the likes of Audi and BMW you’ll appreciate what you experience behind the wheel of a Regal. 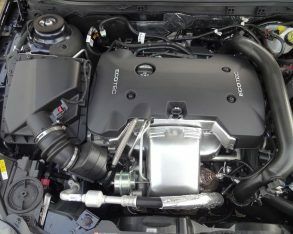 engine, which is a differently tuned version of the engine that made its debut in the Cadillac ATS. 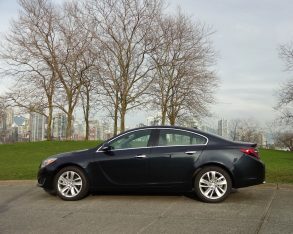 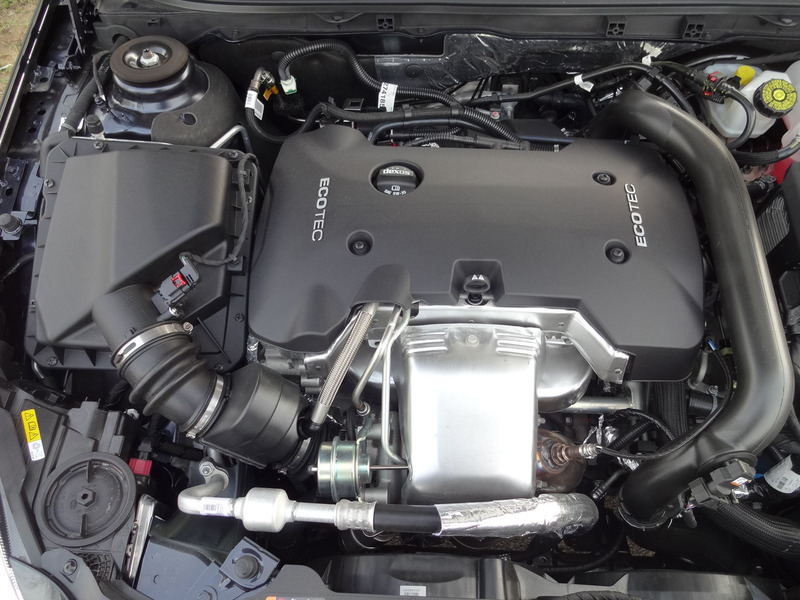 The new engine replaces the previous LHU powerplant, and offers an 18-percent boost in horsepower compared to the 2013 Regal Turbo, cranking out an improved 259 horsepower and 295 pound-feet of torque, with 90 percent of the torque being available all the way from 1,700 rpm to 5,500 rpm (the full amount comes on tap between 3,000 and 4,000 rpm). 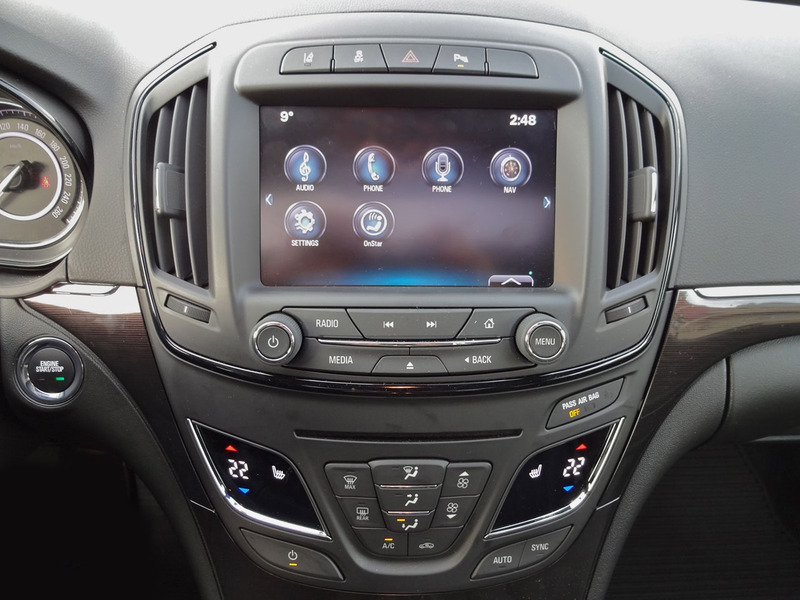 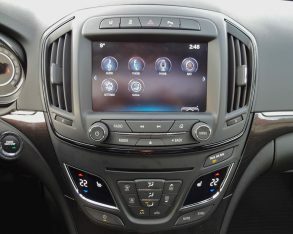 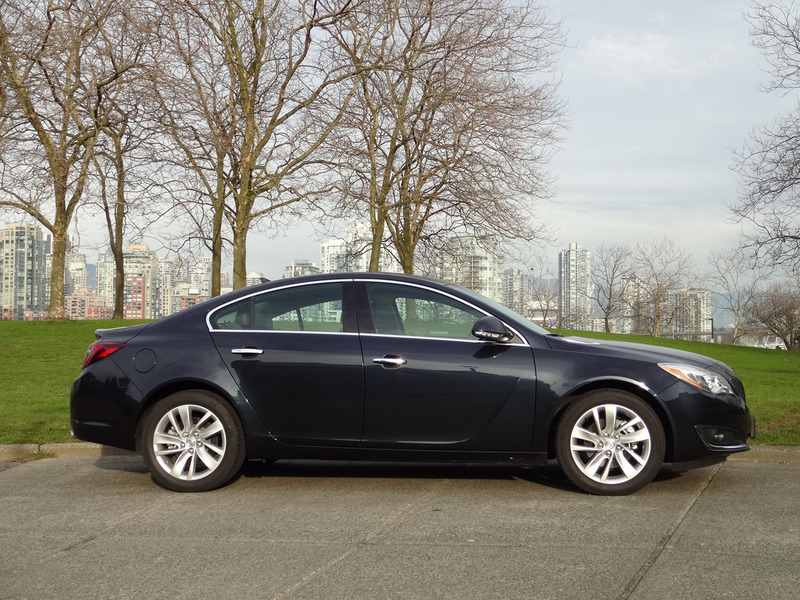 The engine is mated to a six-speed automatic transmission in the Regal Turbo (but no paddle shifters, just a console shift for manual control), with the power now capable of being sent to all four wheels via a new-for-2014 Haldex all-wheel-drive setup. 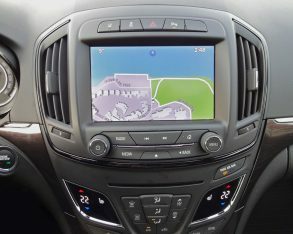 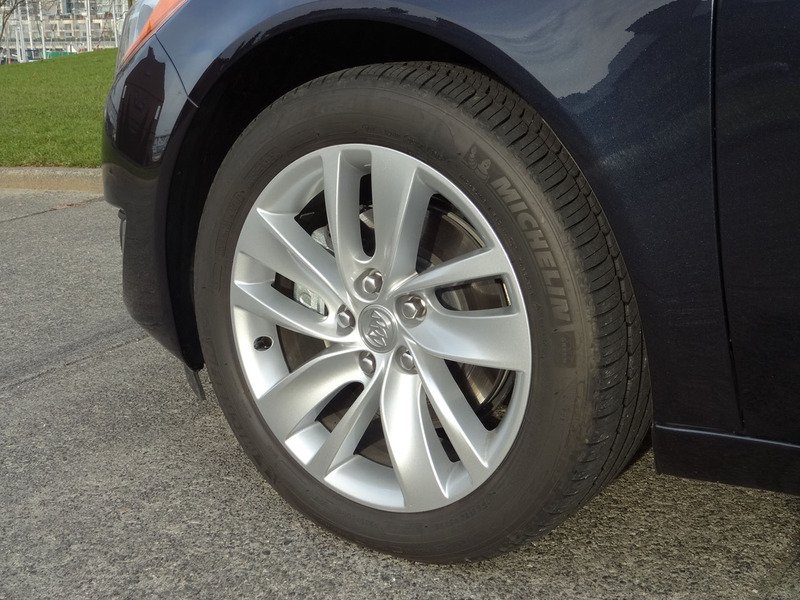 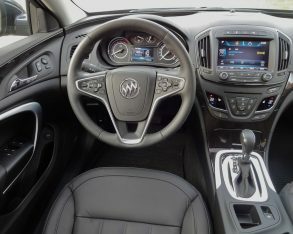 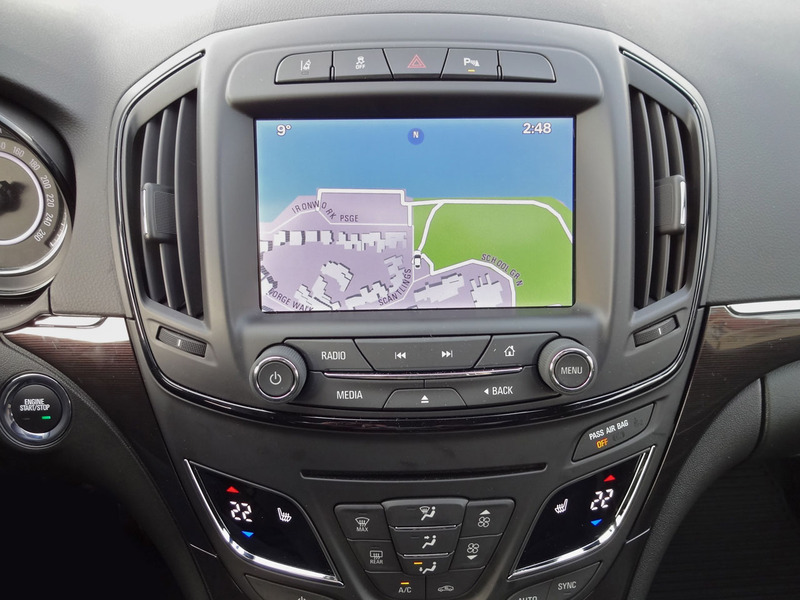 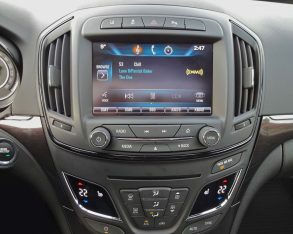 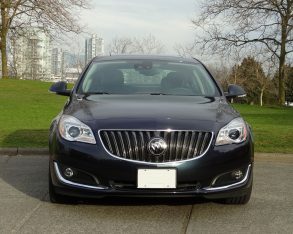 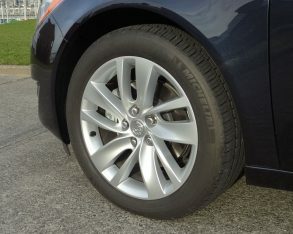 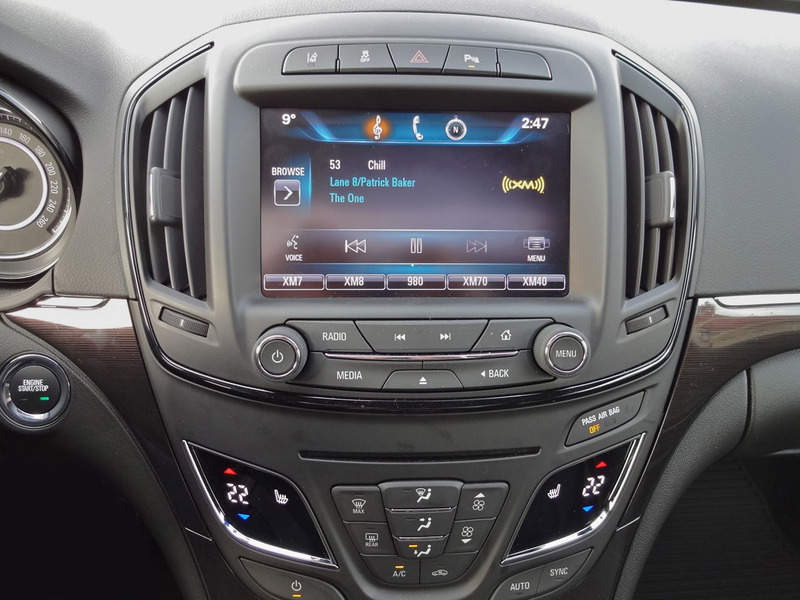 This sophisticated system features wheel-slip management and an electronic limited-slip rear differential, and Buick says it can send as much as 90 percent of torque to the rear wheels should the front wheels suddenly lose traction. 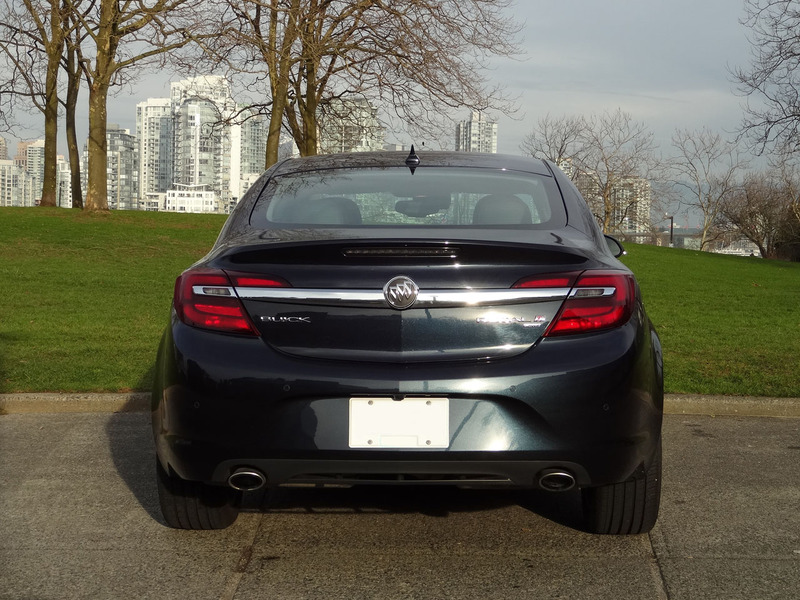 the road, the Regal Turbo AWD feels plenty quick but with a smooth, effortless power delivery that can fool you into thinking you’re going slower than you really are. 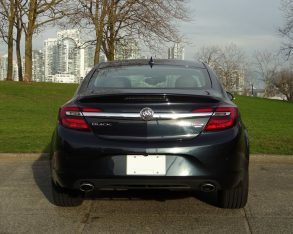 The run from 0-100km/h is dispatched in 6.8 quick seconds, and the engine has a pleasantly subdued growly exhaust note. 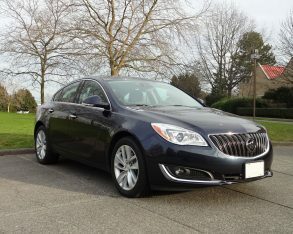 In the twisty bits, the Regal’s European roots shine through with a buttoned-down ride and well-sorted handling. 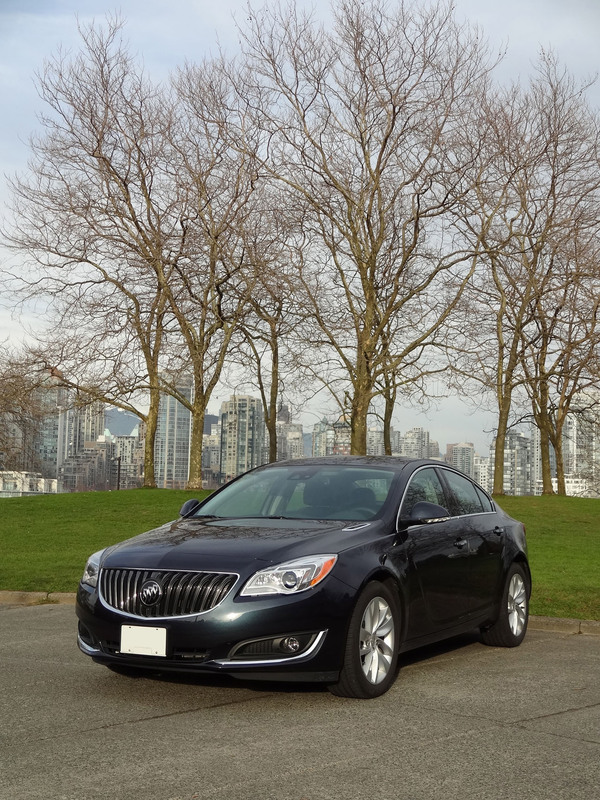 The Regal Turbo has precise steering and good grip and poise in the corners. 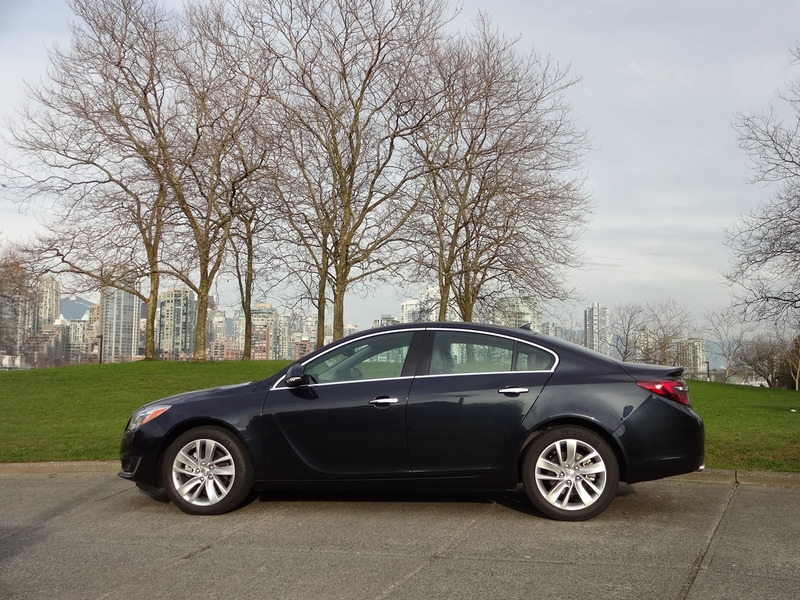 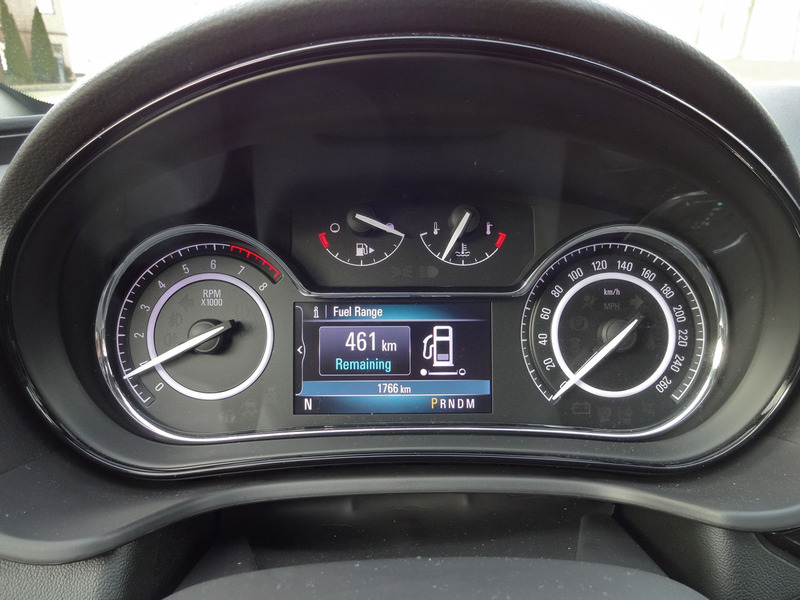 City/highway fuel economy is rated at 9.6 / 6.5 L/100km using the new 2015 five-cycle testing process (it’s officially 8.3 / 5.4 L/100km for the 2014 model, but that’s using the wildly optimistic two-cycle test method). 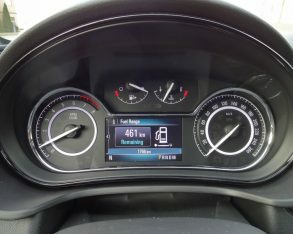 I used somewhat more than this thanks to my short-hop, throttle-heavy lifestyle, coming in at closer to 14.5 L/100km over a week of purely city driving. 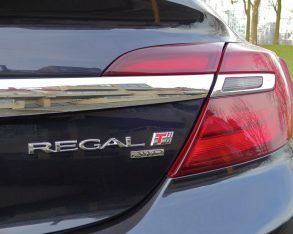 and again following the European tradition, the Regal feels more "well crafted" than "opulently luxurious." 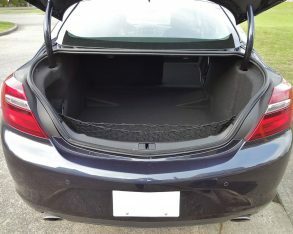 The dash and door uppers are all soft-skinned, naturally, and good-quality solid rigid plastics are used where appropriate. 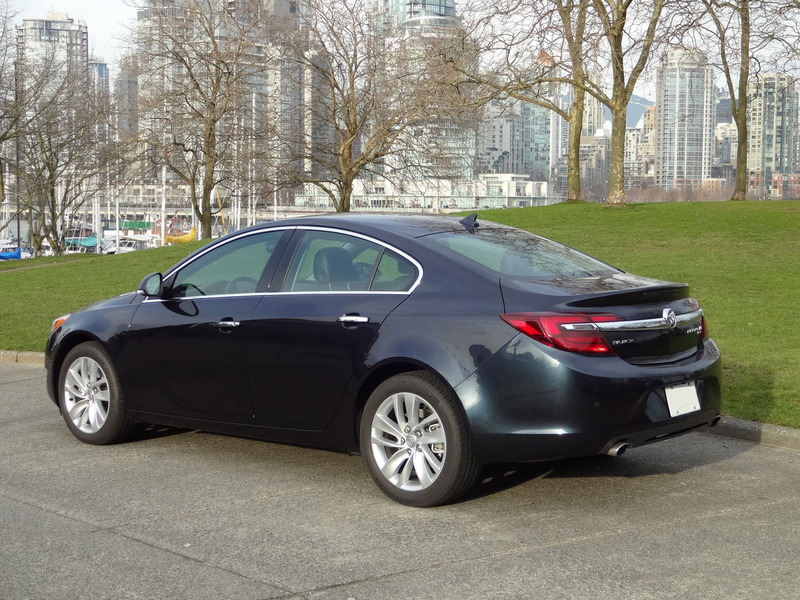 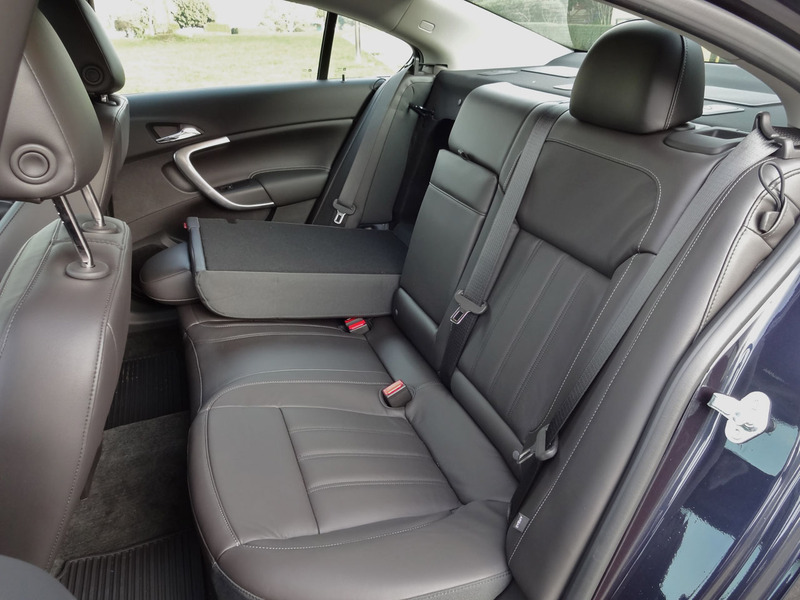 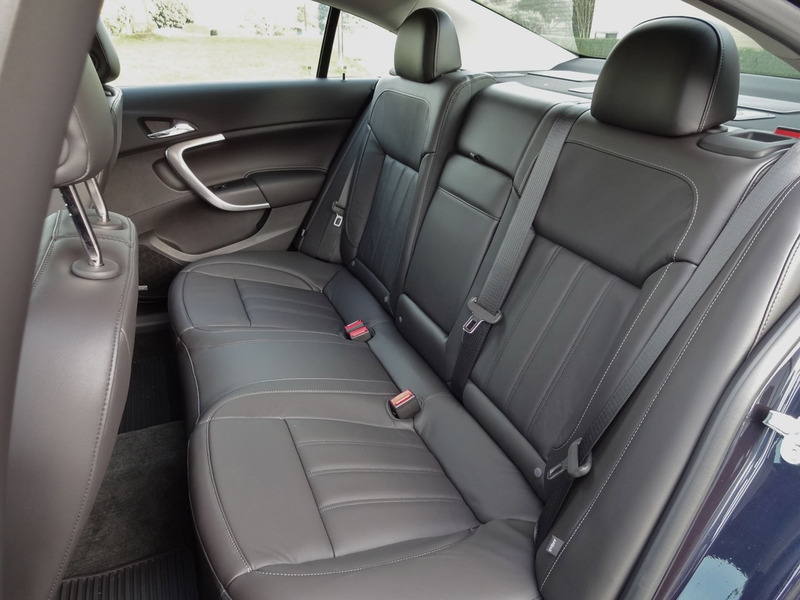 Visual interest is provided courtesy of some tasteful metallic highlights and black woodgrain trim, while comfort is taken care of with supportive and roomy leather-upholstered bucket seats up front, and a 60/40 split folding bench in back. 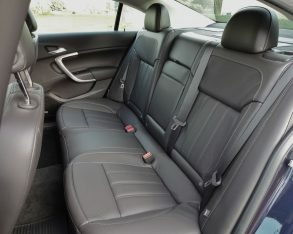 I found the rear seat headroom a smidge tight for my five-foot-eleven frame, but there’s plenty of legroom. 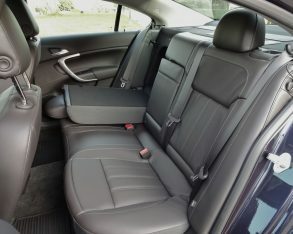 to put your devices in the larger bin further back in the console, then the armrest latch becomes a potential pinch point for your device wires. 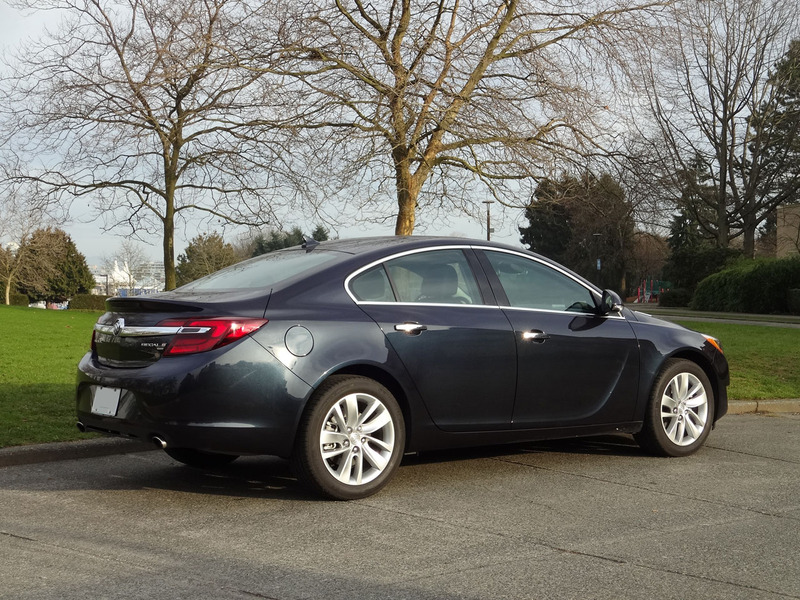 with collision mitigation braking, and radar-based adaptive cruise control. 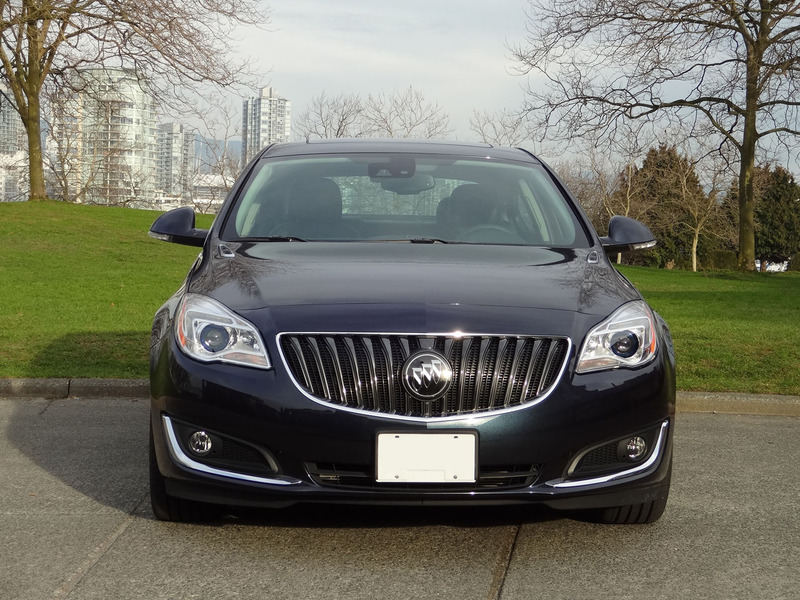 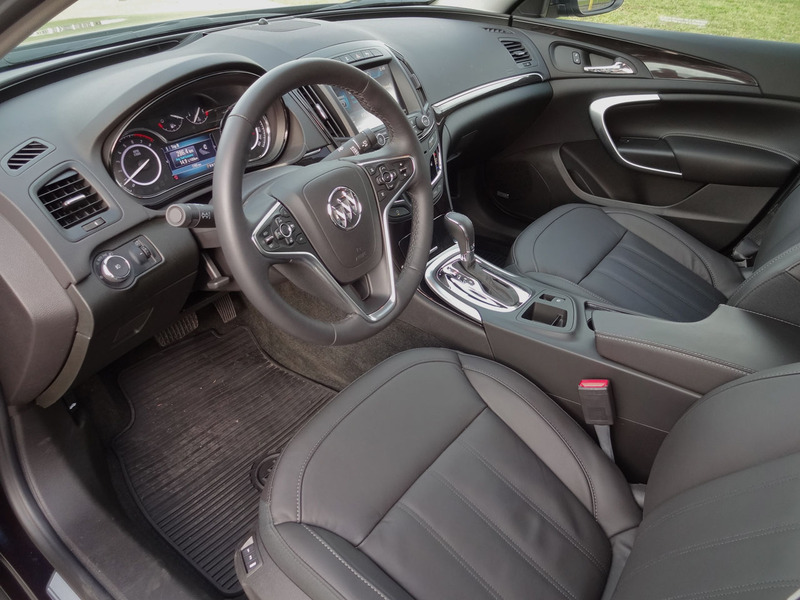 At a starting price of $34,795 including destination fees, the Buick Regal Turbo offers a compelling alternative to established European sport sedans. 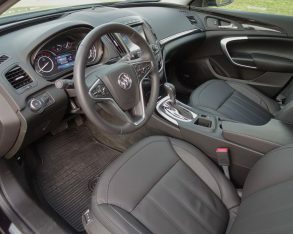 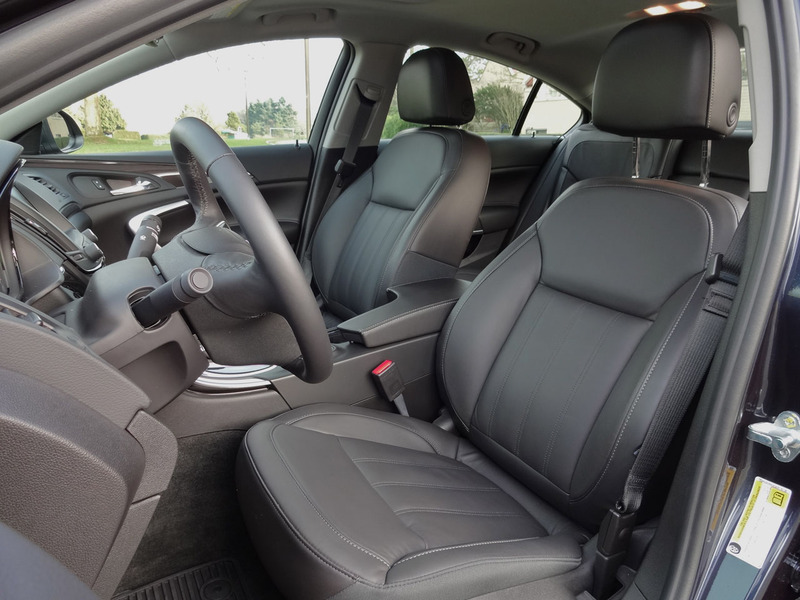 It’s a comfortable, practical and good-looking car with genuine performance and handling credentials, especially now that it’s available with all-wheel drive. 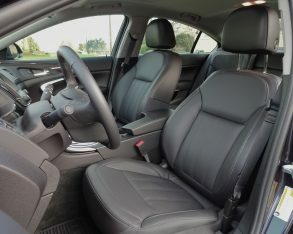 That alone should make it worth a look for anyone considering a compact-to-midsize executive or sports sedan from the established European marques or their Japanese-based competitors such Infiniti, Lexus and Acura.